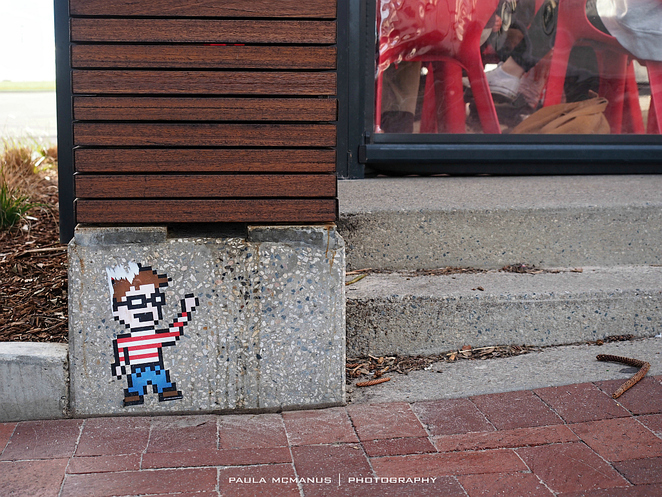 Get involved in the latest street art craze to hit the streets of Adelaide - "Find Waldo Adelaide". 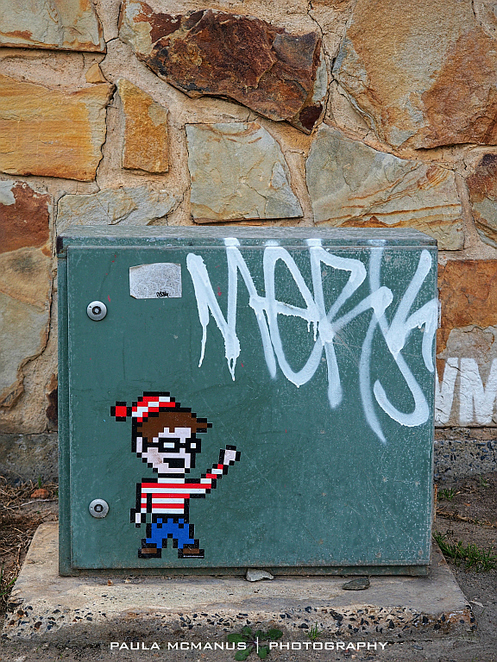 All over the city and suburbs; stuck on a coffee shop wall, street corner or even a jetty, are Waldos. 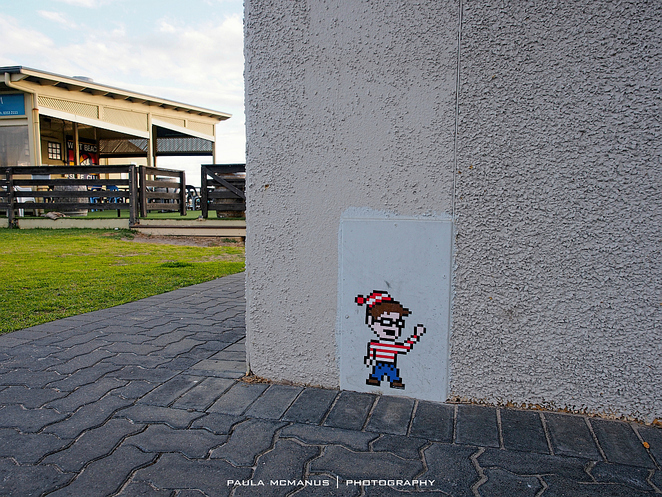 Most of us in Australia know Waldo as Wally - that guy distinctively dressed in the red and white striped hat and shirt. The same guy who has had us searching for him for three decades! Waldo became a huge sensation in the early 1990s. 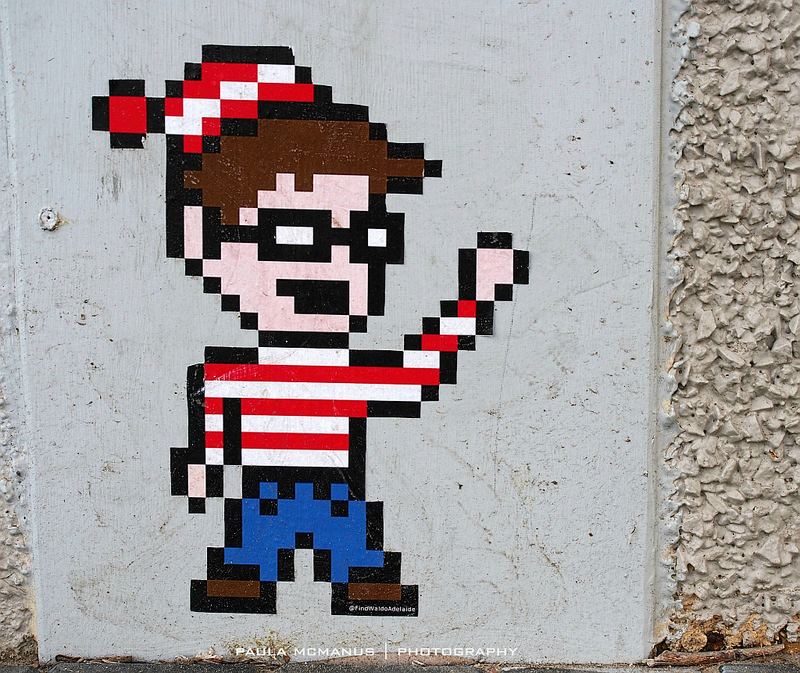 The world was swept with "Waldo-mania". People around the world were obsessed with finding him. And now, 30 years after it all began, it's our chance to find him! This latest fun art hunt has been inspired by the recent "Find a Furby" and "Invader" street art stickers that previously popped up around our city. There's a list of suburbs below that will help you with your search. Interestingly, they are in and around the places we love to hang out - beaches, coffee shops, tram stops and universities. It's a fun way to enjoy a stroll around our city, have a coffee, spend some time outdoors and see how many Waldo's you can find. There's no guarantee that the stickers will be there when you go looking for them. I can tell you that the one on the Henley Jetty has already disappeared from its original spot. Luckily the FindWaldoAdelaide website have instructions on how you can create your very own street art sticker. 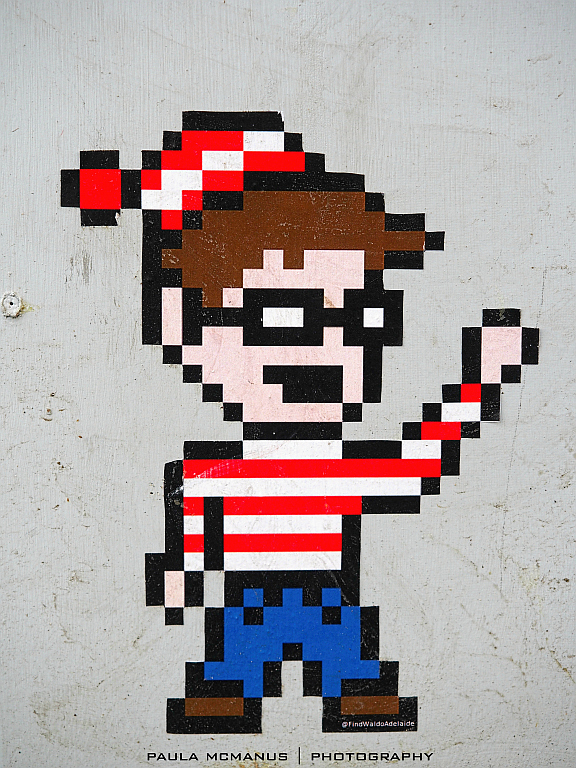 You can even download and use official graphics from the Where's Wally website. I've been on the lookout for these around town, a cool little street art project. Have you seen any Odlaws too?